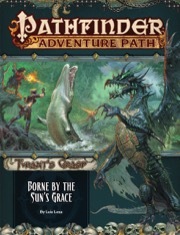 "Borne by the Sun's Grace" is a Pathfinder Roleplaying Game adventure for 14th-level characters. 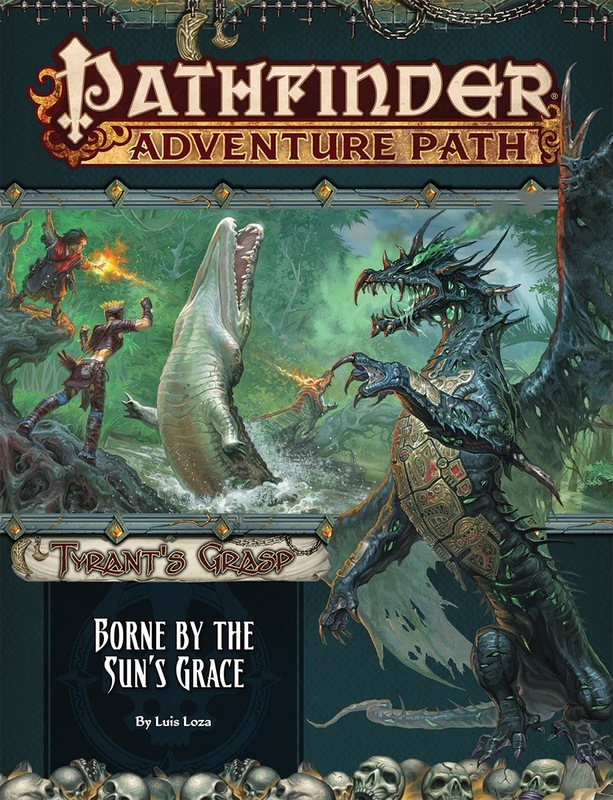 The adventure continues the Tyrant's Grasp Adventure Path, as players encounter a land of new, powerful magic and great heroes. This volume also includes a selection of new monsters, a double-length gazetteer of the region of Arcadia where this adventure takes place, and an examination of one of the powerful psychopomp ushers. The description says, she teleports the pcs to her homeland, so yes. For me, guess it depends on how detailed they are? I wouldnt mind a full deity write-up of Batzhak or any other of the ushers. The entries in the Concordance of Rivals are somewhat shorter, usually a column or a single page at most for a given entry. The article included with the AP is 6 pages long, which lets us take a deep dive into the usher. Even if there is some overlap, you'd be getting a lot more material with this article compared to the brief look in Concordance.